Saturday was The Accountant and my 11 year anniversary! Wow right? Of course that doesn’t count the 3 plus years that we dated. So officially I have been driving him crazy for almost 15 years! We were out to eat Saturday with Sam and it came up in conversation with the waitress that it was our anniversary. She asked the obligatory “how many years” question and we told her. She then looked at Sam and said “well, they waited a minute on you didn’t they?” Ha! Made me laugh because its true, we waited several minutes on her. Worth it though. I like that we waited so long to have a child. We had ample opportunity to get into that married life groove, do our own thing as a couple, lots of travelling, getting to know each other as a married pair rather than instant parents. As a token of my love, I cooked. Baked rather. 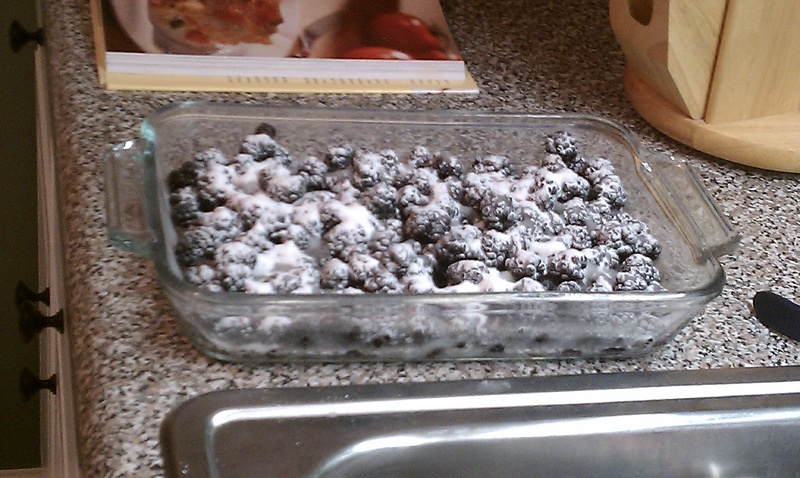 A blackberry cobbler. Wanna see? Here’s some progression pictures. Because when I cook, I wanna prove it actually happened. Sprinkled with the dry stuff. Butter! Yes, Butter! 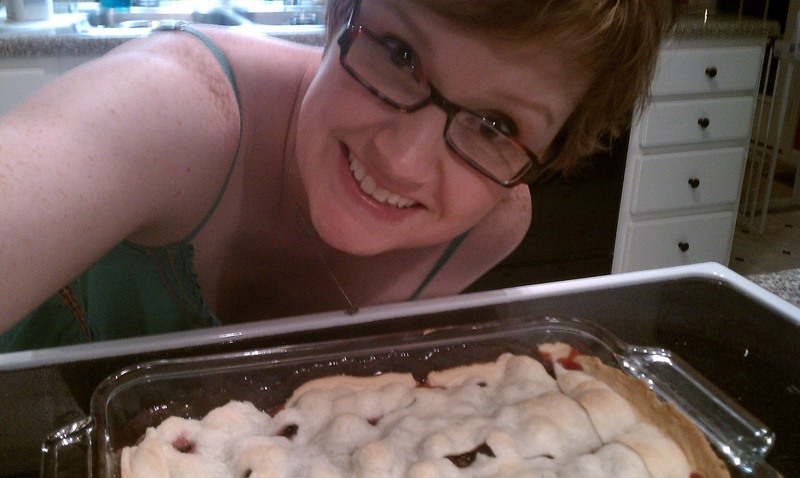 Feel like I should insert a Paula Deen quote here. 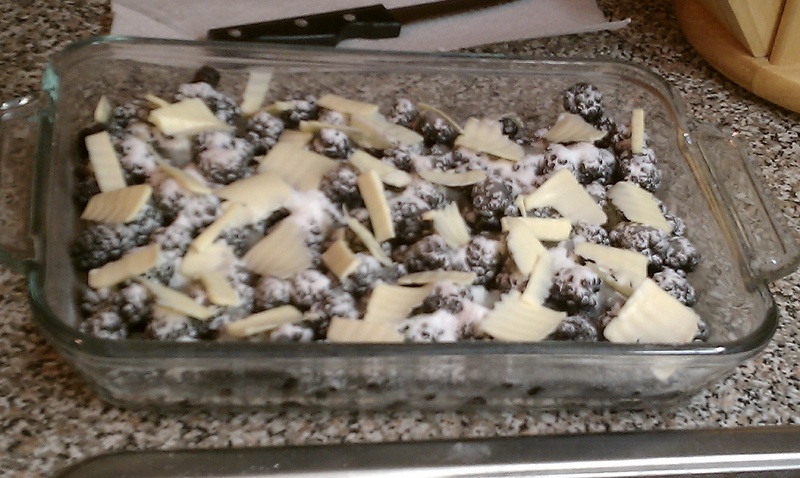 Then, the recipe said to place pastry on blackberries, trim edges and seal. Seal? Seal to what? The sides of the pan I guess. 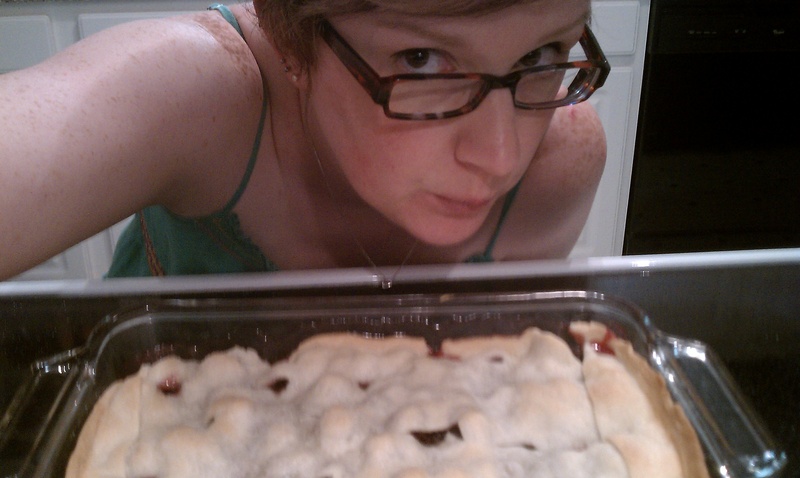 So I smushed my circular pastry thingy (thank you Kroger) into the sides of my rectangular pan. Not pretty but your tongue can’t taste pretty right? Thirty minutes later, viola! Not bad right? I mean, it looks ok. Doesn’t appear to be lethal or anything. 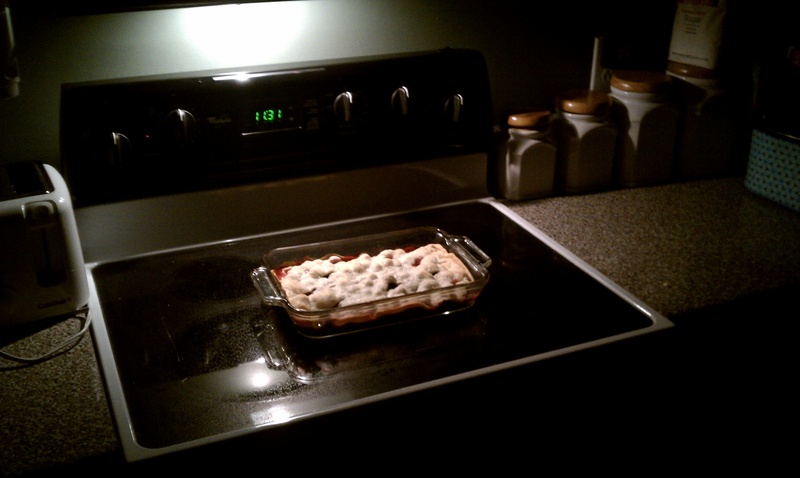 And so, angels sang, heavenly lights shone down and The Anniversary Cobbler took a place of honor in the kitchen. The verdict? The Accountant says it tastes good. However, it is quite runny. Water comes to mind. Flour next time. Really. Oh, I didn’t taste it. What? Is that weird? 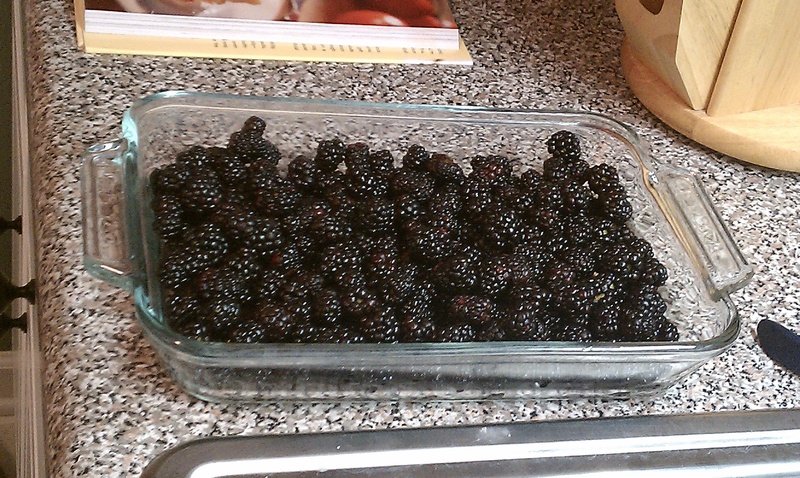 I don’t even LIKE blackberry cobbler! This was a labor of true LUUUUUURVE people!!! 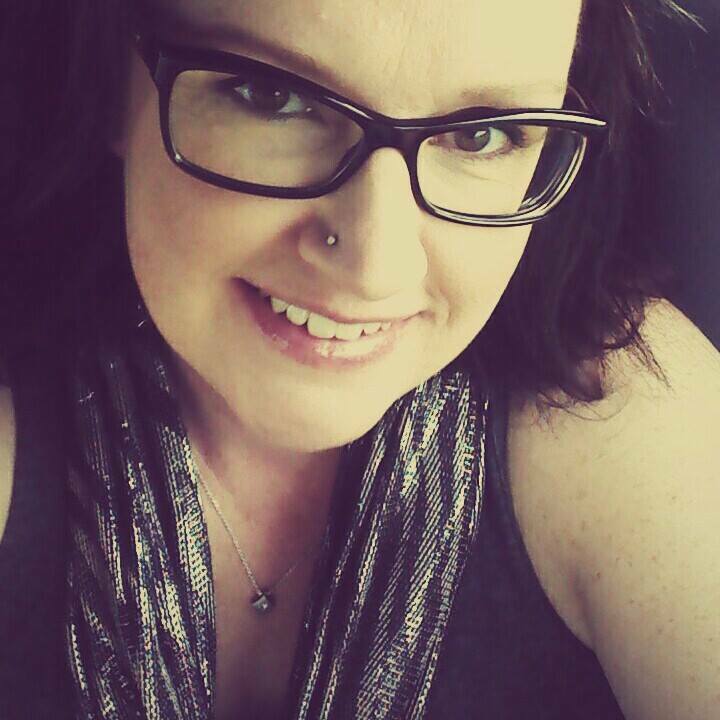 And so, Happy Anniversary baby! Love you! Next year? Chocolate cake!!! 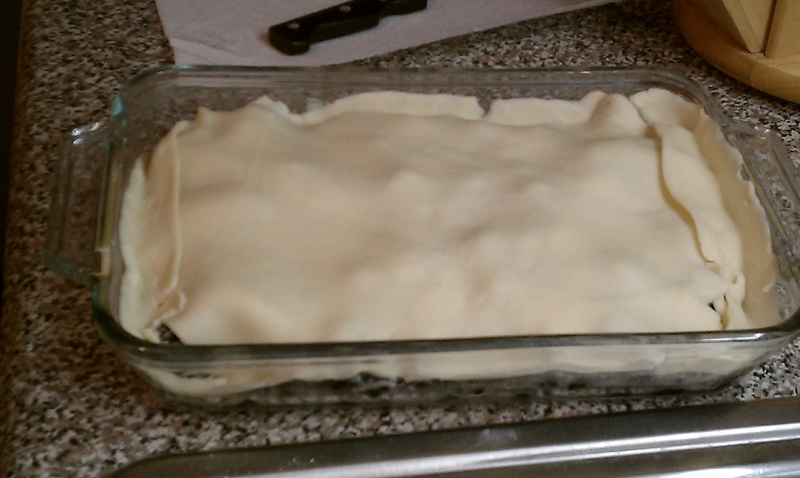 add the first four, then dump in the pie filling and bake until golden brown, 30-45 minutes at 350. It’s not healthy, but it will come out perfect every time! 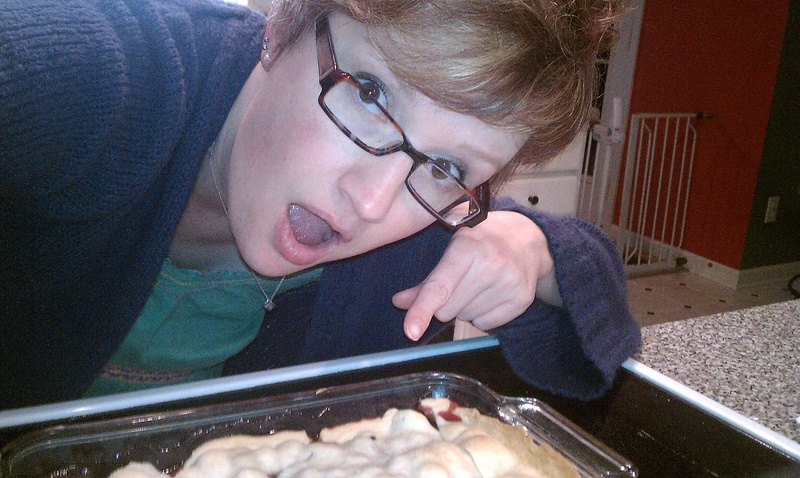 thank you for clarifying mom…you know me, i’m just like amelia bedelia in the kitchen!